Asparagus is by far one of my favorite vegetables, but if you’ve ever just steamed it or even roasted it with no real seasonings, it is pretty bland. It was lemon season when I came up with this roasted asparagus for diabetes. I’m sure you are thinking, well of course diabetics can eat asparagus & most vegetables. But, if you are like me, you get sick of bland veggies. I feel like I need to add some pizazz to most vegetable recipes, to make them actually exciting for me to eat as a diabetic. Here in Arizona, it’s usually January or so that we can pick our citrus trees and then need to come up with tons of recipes so our fruit doesn’t spoil. We have a lemon tree and during this time of year, lemons become a staple ingredient in all our food, otherwise they spoil. 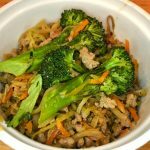 I love that this asparagus recipe is delicious and only requires 3 ingredients other than the asparagus. I used olive oil, lemon & Parmesan once the asparagus is roasted. Of course, add sea salt and pepper (although to be honest, I forget this step quite frequently). A couple other optional ingredients you could add are garlic powder, onion powder, Italian seasoning or any other spice you can think of really!! 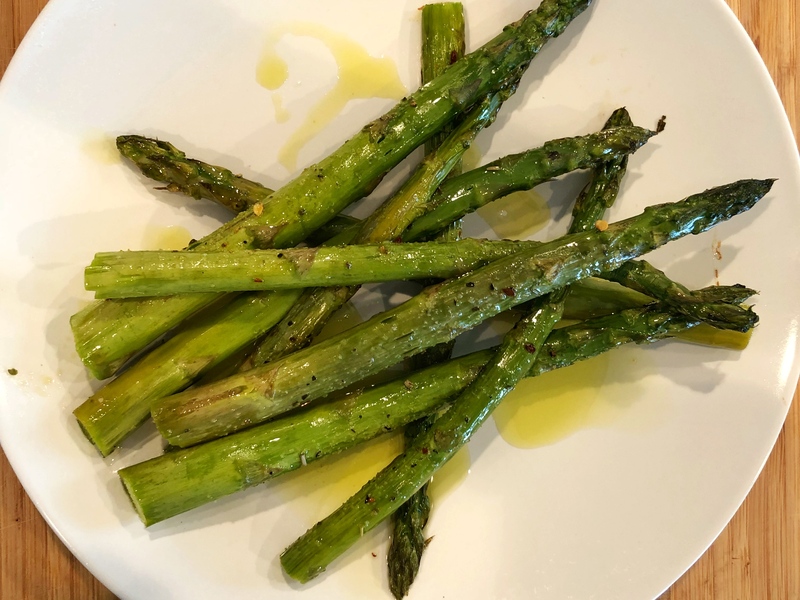 I kept this roasted asparagus recipe super simple, but feel free to put your own spin on it:) Or change it up often so you add different tastes to your meal. 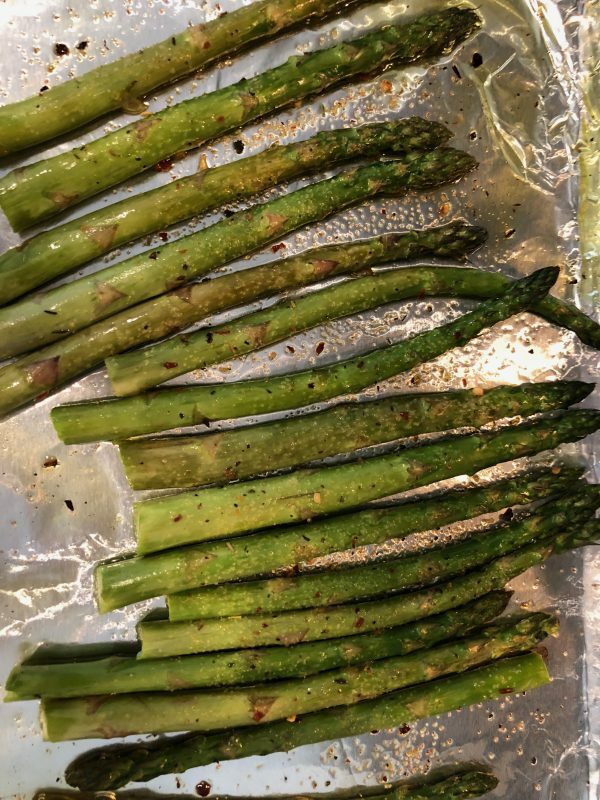 Lately, I’ve been adding paprika to my asparagus for diabetes recipe:) But, turkish spices or even hot sauce are fun too!! Especially during the winter when the heat in food is perfect to go with the cold weather outside (well here it’s about 60 degrees, but it’s cold for me). Who doesn't love roasted asparagus?? 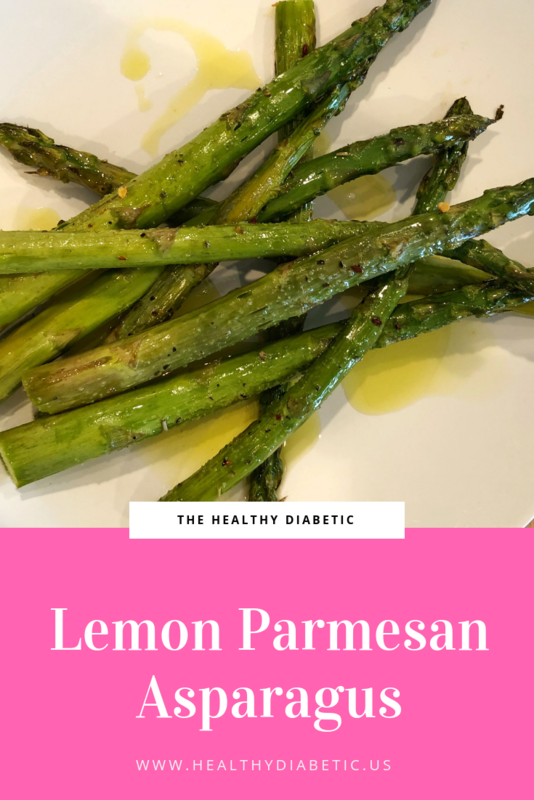 Add a little lemon & parmesan and it's about the best roasted asparagus I've ever had!! Yumm!! This is a perfect side for those of us with diabetes. Add asparagus, oil & squeeze 1/2 the lemon on the asparagus. Feel free to use some zest too (i'm not the biggest zest fan, but I know chefs always say it's the best).